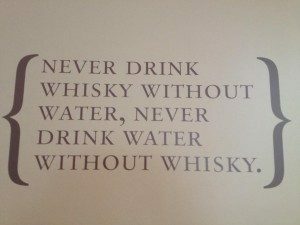 Scotland Whisky Tour – our trip with kids! This post contains affiliate links. Clicking on them may result in a commission being paid to us if you purchase afterwards - this is at no extra cost to yourself. Thanks! 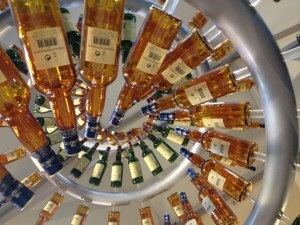 Scotland whisky tour on your bucket list but not sure how to do it on a family holiday? 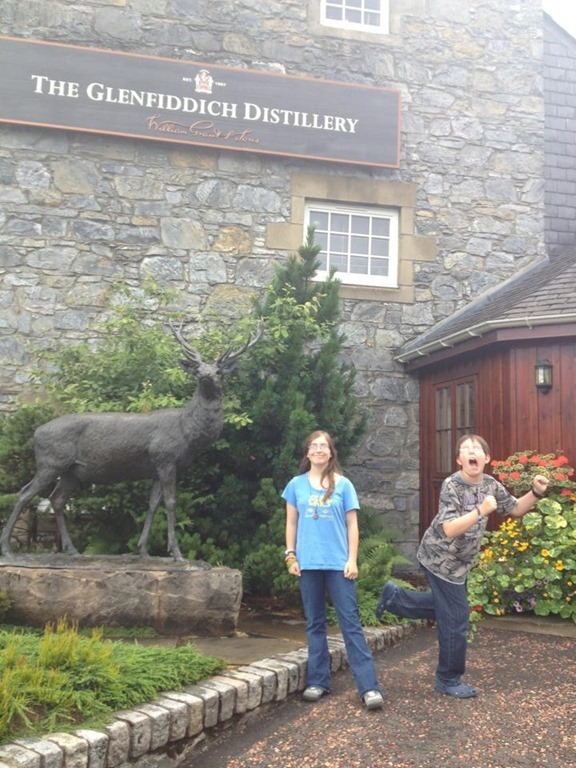 I think you really need to keep a whisky distillery tour on your list of things to do, even with your children. Even with kids? Yes of course! Where we were staying in the Highlands of Scotland was situated along what is known as the Malt Whisky Trail. In the Speyside region of Scotland there are huge numbers of single malt whisky distilleries and many of them have tours and tastings. Now I’m not a big whisky drinker, to me it tastes like drinking fire or something, but James really enjoys it and has been to some tours before. We’d never done one as a family and since I really didn’t have a clue how whisky was made we thought it would be a good rainy day activity while we were up in the area. Since there’s so many distilleries around in Scotland, if you’re planning to visit a few, a whisky map like this one might come in handy! 1. Not all whisky distillery tours allow children. As we were on a strict budget we looked out for distilleries that would allow kids, that were free and which were close to us and in the Speyside area. There are a LOT in this area though, so we had a few to choose from. 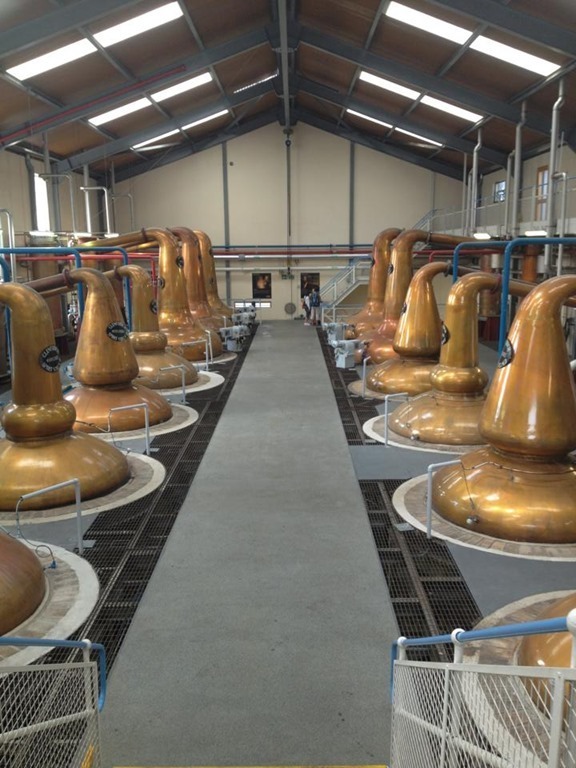 The first distillery we visited was the very famous Glenfiddich. 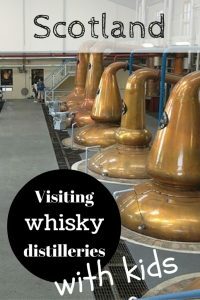 Distillery tours are free (note – this was correct when we went in 2013 but it seems that’s not the case now and there’s a change of £10 per head, kids are still free) and children of all ages are allowed to join in. It was a really well run tour, we were impressed by the fact that people could get tours in their own language and saw a Spanish couple getting a very personalised tour as they were the only ones who needed a Spanish guide at that moment! You were allowed to take photos in all but two places and we found them to be really welcoming and friendly despite the size of the company. Glenfiddich is still family owned and not owned by other companies and I think you could tell. Our tour guide was lovely and really took time to speak to all of the people on her tour. We had Australians and Americans along side some people from the UK too. After showing us round we got to the main part which is the whisky tasting! Glenfiddich are extremely generous, another sign of their size I guess, and each adult is allowed 3 measures of whisky in total, one each from the 12, 15 and 18 year old single malt range. I did try them, honest, and I think I did detect a difference in the smell, but they all tasted the same to me! As I was driving, James, um, finished the lot!! The kids were well looked after too and were given some squash to drink. 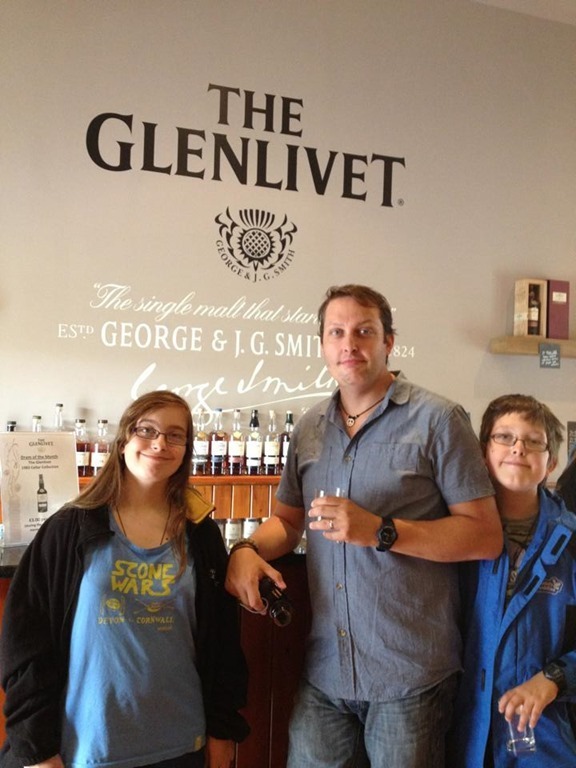 Our second tour, on a different day I might add, was to The Glenlivet distillery. This distillery tour again was free and allowed children over the age of 8 to come along too. (2018 update – this tour is now no longer free and has a small charge) Glenlivet is owned by another company, and was much more corporate in feel. The Glenlivet tour itself was informative and I learned some things I didn’t know from the first tour, but it didn’t feel as friendly. We weren’t allowed to take any photographs at all through the tour and it was a little shorter than we had before. At the tasting we were allowed to choose one sample each so I chose a different one to James and just gave him mine! The kids were again given squash so were happy too. Looking pleased with himself for getting MORE whisky! 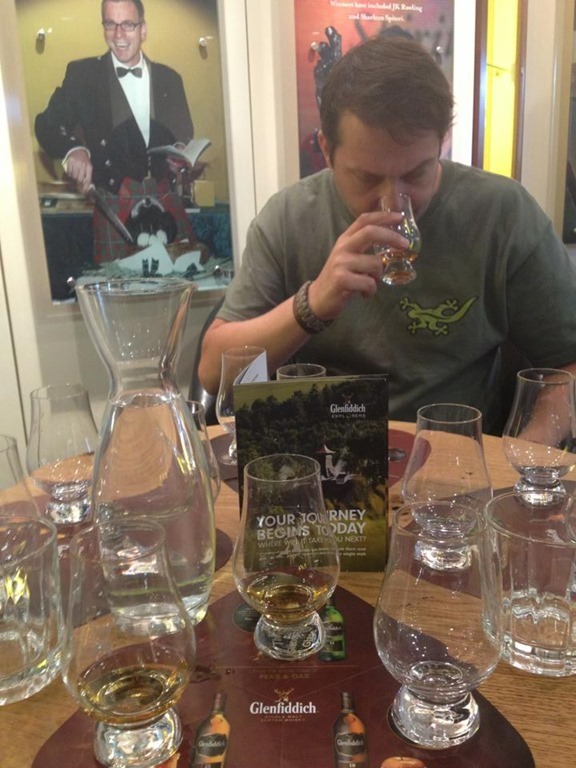 experience at Glenfiddich and although my overall experience is limited, James agrees that Glefiddich is the best whisky distillery to visit in Scotland and would recommend there if you have to choose just one! Heading to Scotland with kids? Check out my ultimate guide to Scotland for families. Where is it: Speyside is situated in the Highlands of Scotland. Nearest Town: The Speyside whisky trail is large with many towns that would be a good base. Dufftown is the next town to the Glenfiddich distillery and Boat of Garten is a good base for them all. The Boat Hotel in Boat of Garten has family rooms and will have you in the right area for plenty of whisky tasting. Check out the latest prices. If you’d prefer a larger town then Inverness is about an hours drive from the area. The Beaufort Hotel is a good choice with family rooms. Click here for prices. If you’re on a tight budget then my favourite hotel chain to check out for cheap rooms is Travelodge – they have one in Inverness. You can search hotels and get prices here. Hi and welcome to Lost in Landmarks (formerly Barts Go Adventuring)! I'm Kirsty and my travel buddies include my husband James, my kids Marcus and Alex (almost grown) and dog Annie. We've had some amazing trips both big and small in the past few years. I've documented them in this blog and hope to have much more to come! We love travelling and learning the history of places and as such love to share the quirky sites we find. This site contains affiliate links and as such any purchases or bookings made after clicking may earn me a commission.